The LiteRider gives you more foot room with the convenience of portability. This scooter does disassemble into 3 pieces. 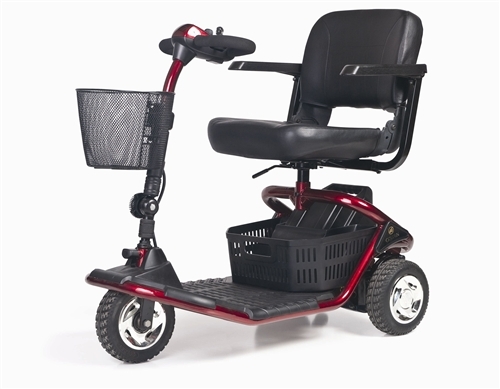 Some of the key features are; 22 Amp Hour Batteries (2ea), 39" turning radius, 9" flat free tires, 300lb weight limit,two storage baskets and much more. Available in Red or Blue.